During the recent launching workshop for a project on capacity building and the effective use and management of Tanzania Information Communications Technology (ICT) resources within the public sector, the Director of Human Resources for the office of President Jakaya Kikwete, Faisal Issa, indicated that there is currently a need for further expertise and well trained professionals in the area of ICT within the public sector in order to ensure the smooth execution of e-government within the country. “This project is strategically important for IT and business management to utilize and manage optimally the investments already made and that will continue to be made in ICT in the process of transforming public service delivery,” said Mr. Issa in a Daily News report. According to reports, in spite of its efforts to perform various reform programs within the country’s public sector, the government has not yet been able to achieve the necessary capacities in ICT management and the required technical skills are also still not sufficient to fully sustain e-government. In addition, Mr. Issa also explained that, should the required changes be planned and implemented well, the effectiveness of the use and management of ICT in the public sector will be increased, which will subsequently help to increase both the overall customer satisfaction and the responsiveness of the government in general. Overall, the Human Resources Director said that the purpose of the project is to provide assistance in improving both efficiency and effectiveness in public service delivery, not only to increase satisfaction, but also to stimulate economic growth. 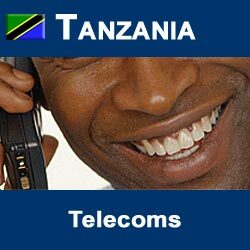 According to the Daily News report, Mr. Issa indicated that the government of Tanzania will represent a model user of ICT services by effectively utilizing ICT systems within the public administration so as to improve efficiency, lessen the waste of resources, improve overall planning practices, raise the standard for the quality of services and access global resources. Mr. Issa went on to indicate that substantial efforts have been made on the part of the Tanzanian government in order to deploy ICT services throughout a variety of government processes, including payroll, human resource management, integrated financial management, budgetary process, passport issuing, income tax management and customs management. According to Prof. Beda Mutagahywa, the managing director for the University Computing Centre, the government project is intended to develop the overall capacity of ICT management as well as to develop the technical skills that are required in the ICT sector in order to allow for the effective use and management of ICT in the public sector, specifically in the country’s ministries, departments and agencies. The Daily News went on to report the further explanation of Prof. Mutagahywa, which indicated that the project is expected to provide training to 240 staff, among whom will be members chief executives officers of agencies, directors, and managers and systems administrators.